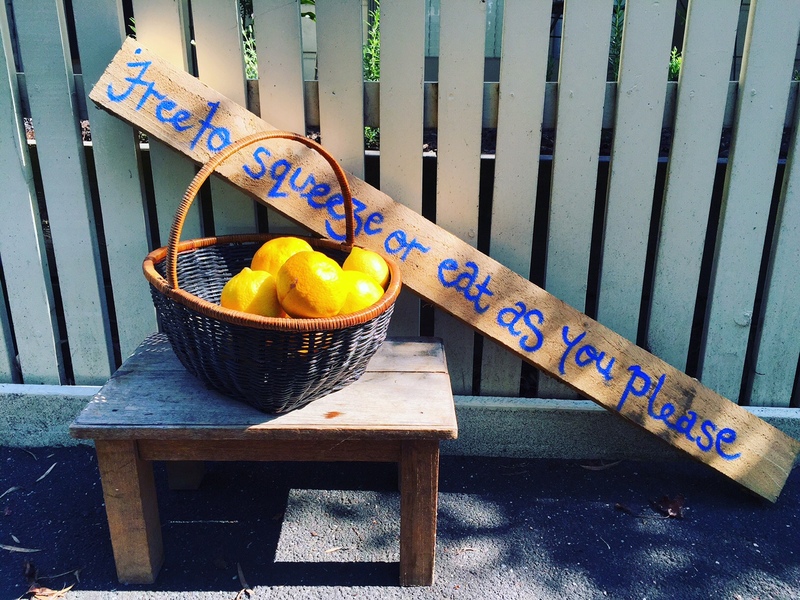 Yesterday I put a basket of oranges, picked from our tree, in front of our gate with a sign: ‘Free to squeeze or eat as you please’. Half an hour later, they were all gone. There were only so many that we could eat from the tree, make into marmalade, cook into orange cake, turn into herbal tea, develop into sweet-scented cleaner, squeeze into juice, add to ice trays and dry as fire starters. Instead of letting the remaining juicy balls bursting with vitamin C (which protects the immune system and disarms free radicals that cause cell damage) go to waste, I thought why not offer other people the opportunity to experience the delicious taste of freshly picked produce. Then the school bell rang. It took only one observant eye to spot the basket brimming with oranges for there soon to be 10 to 15 students standing around, enjoying this refreshing snack on their way to the tram stop. Are we craving greater availability of fresh homegrown produce? Do we have enough knowledge of where food comes from and what is seasonally available? Do we know about all the different foods being produced by our Aussie farmers? Are we missing out on tasting fresh food the way it’s supposed to? Harvested when ripe and in season. Is there sufficient food education in schools across Australia? Research, surveys and reports indicate that the answer to this last question is ‘no’. Just last week more than 1000 Australian primary school children (aged 5 to 12) were surveyed with one in four not knowing that butter comes from cow’s milk and not all children aware that apples and bananas grow on trees, that potatoes grow underground and that tomatoes grow on vines. If children are shown where food comes from and who produced it, then they are more likely to show an interest in sourcing and eating it. Today, 2000 growers annually produce 600,000 tonnes of high quality citrus fruit all year round with oranges being the most produced citrus variety at 76% followed by mandarins (16%), lemons and limes (5.5%) and grapefruit (2.5%). These are just some of the amazing statistics captured by the national food schools program, From Paddock to Plate (FP2P), which is breaking boundaries (particularly with its “virtual excursions” on farms) as it continues to pull down the barriers between farmers and consumers. As a result of the FP2P food schools program, students (in Maths, English, Geography, Science and Design & Technologies classes) are educating their parents about food origin. Hence a sustainable cycle of food education is forming within society. 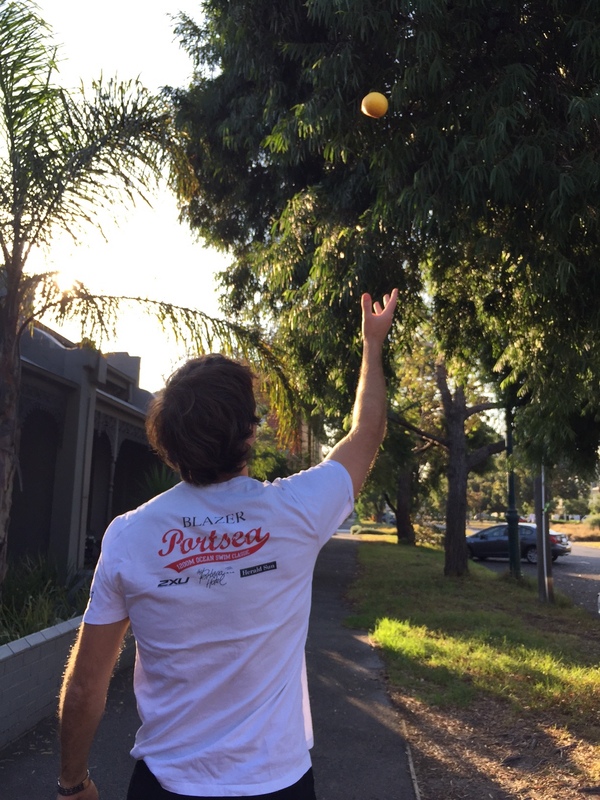 As simple as leaving a basket of oranges out on the footpath is, it has proven to me that my commitment to developing genuine food education resources for every primary and secondary school student in Australia is necessary and invaluable. Let’s squeeze more out of life!